We all need to eat! Check out some of our awesome food facilities around base -- view locations, hours, and menus here! From fresh salads and wraps to delicious, made-to-order smoothies, C-Street will hit the spot. It's the perfect pick-me-up or post workout snack spot! Game Time Sports Grill serves up favorites like burgers + fries and chicken wraps for lunch and dinner -- so whether you're stopping in for a quick bite or winding down the day with a game of bowling, Game Time's here for you! 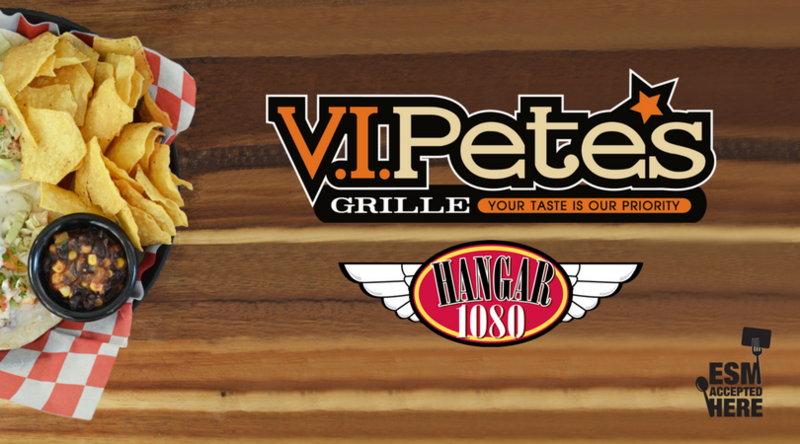 If you're looking for a variety of options, Hangar 1080 is the place to be! Join us for our Friday lunch buffet... or stop by for dinner! Lattes, Frapps and pastries -- oh my! Wally's Java is here for your caffeine cravings. Don't need a jolt? Enjoy freshly made salads, fruit cups and smoothies! Simple, fresh and delicious. Fuel up at the dining facility! This traditional cafeteria-style set up is serving up breakfast, lunch and dinner every day of the week. No time to wait? Stop by the grab-and-go cooler for pre-made salads, wraps, fruit cups, desserts and more! Orders must be submitted by 2200 Monday - Friday and 1600 Saturday, Sunday, Holidays and Down Days. Located right off the flight line in Hangar 276, the Hungry Herk or P.O.D. (Provisions on Demand) offers fast and convenient grab-and-go options for the entire base. Sign up with your email address to receive news, updates and promotions about all things FSS Food!